Our 2015 after party details are set! Celebrate with us after the tournament with live music and prize presentations for the winning bowlers and fundraisers. Our after party show will be held at 9pm at Underground Arts. 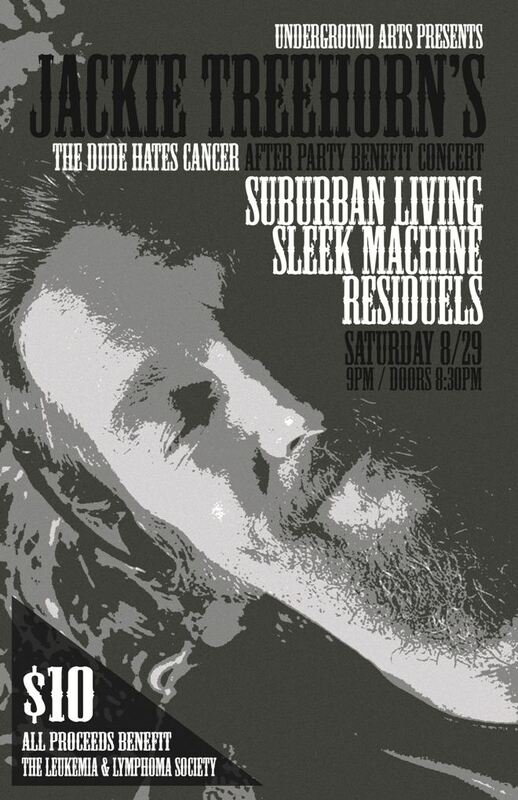 Bands to be performing are Suburban Living, Sleek Machine, and Residuels. Admission is 21+ and free to registered participants, $10 to general public, with proceeds going to the cause! Buy tickets now or visit the Underground Arts website for more info. Thank you to the Underground Arts for hosting us and to the bands and DJ for performing at our benefit show! Next → Next post: Fundraising Prizes: Raise Money, Win Things!